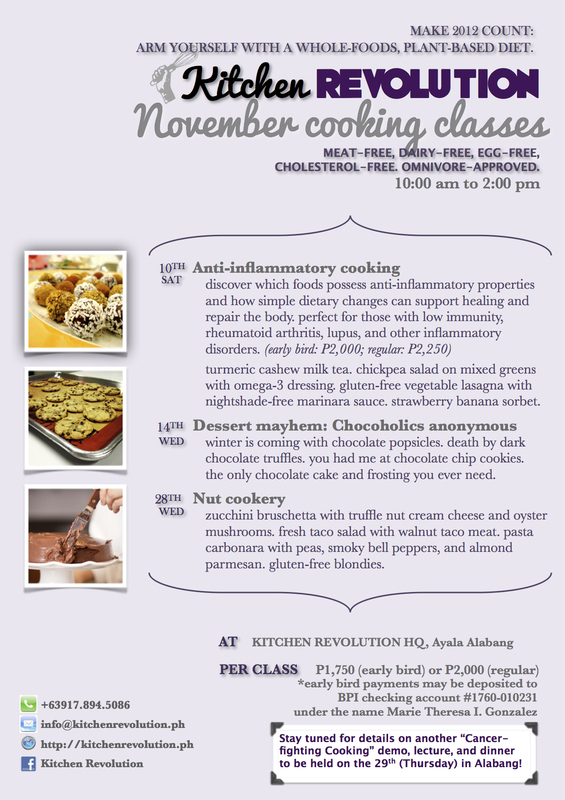 Get geared for the holidays with more fantastic, holistic cooking classes coming your way! Learn how to cook to fight inflammation on the 7th (Saturday). Indulge in your chocolate addiction on the 14th (Wednesday). Discover creative ways to cooking with nuts / adding nuts to your diet on the 28th (Wednesday). Watch out for another “Cancer fighting cooking” demo, lecture, and dinner on the 29th (Thursday) in Alabang!